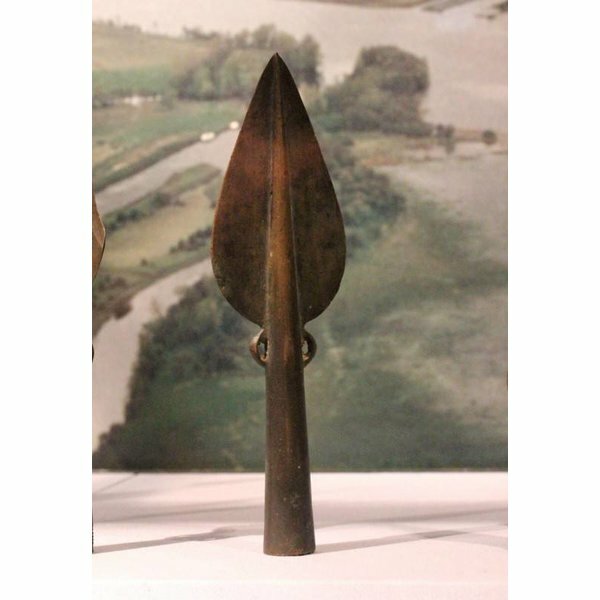 Leaf-shaped spears were principally used in the late Bronze Age and early Iron Age. 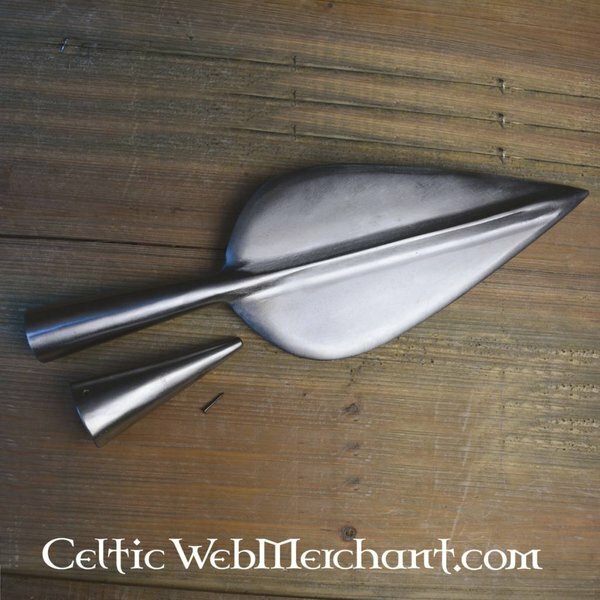 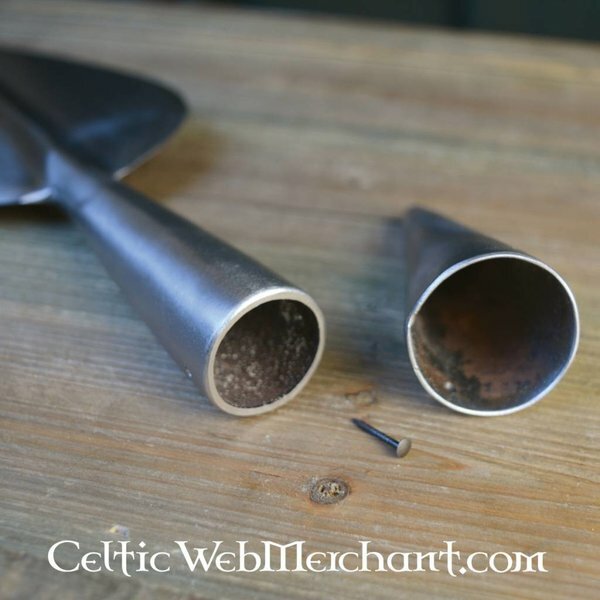 This item is a replica of a spearhead found in Moravia, where it was presumably used by the Celtic Tribes. 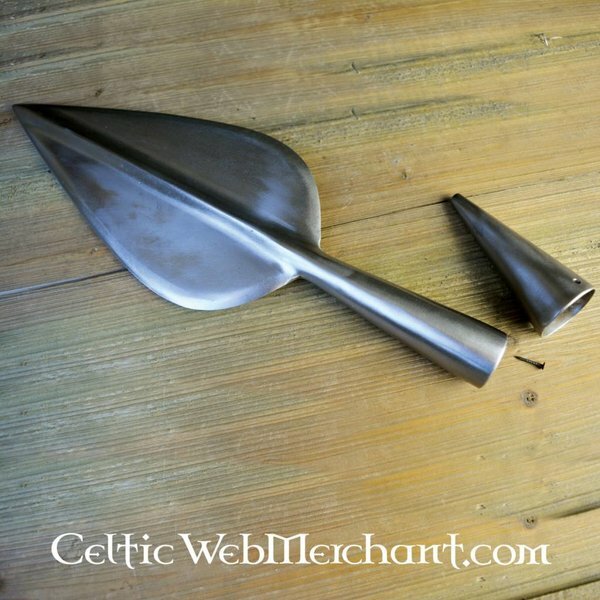 The spearhead measures 36 x 12 cm and is delivered including a shaft cap. 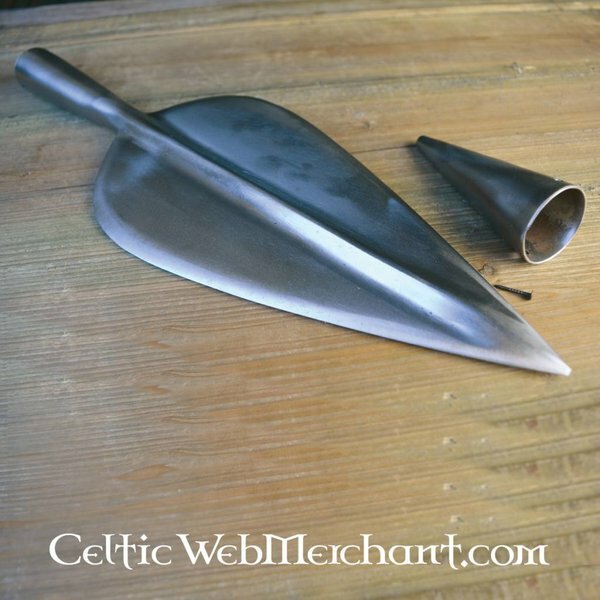 Both are completely handmade of carbon steel.